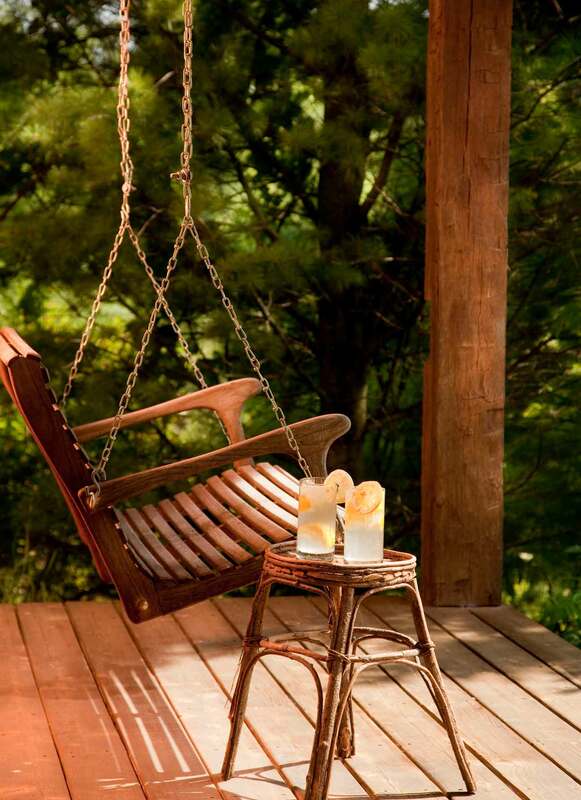 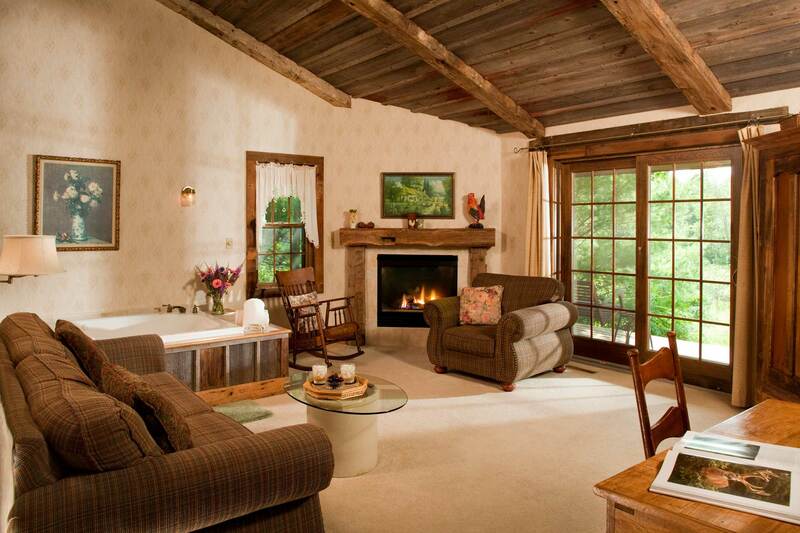 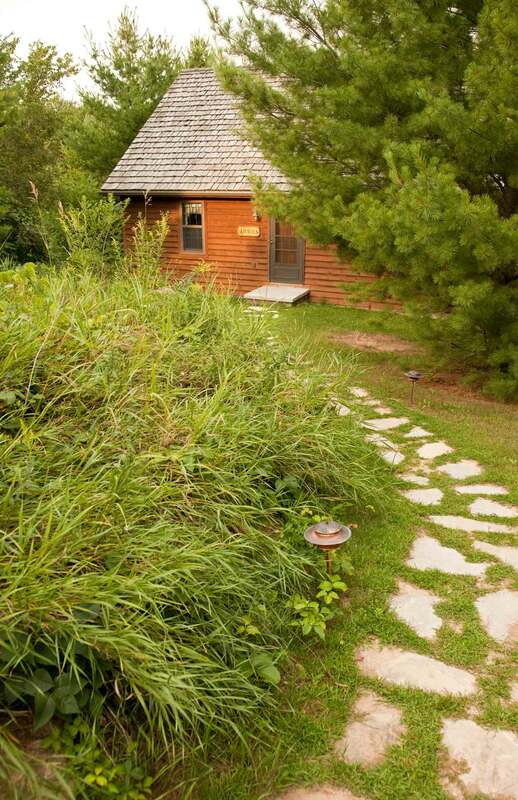 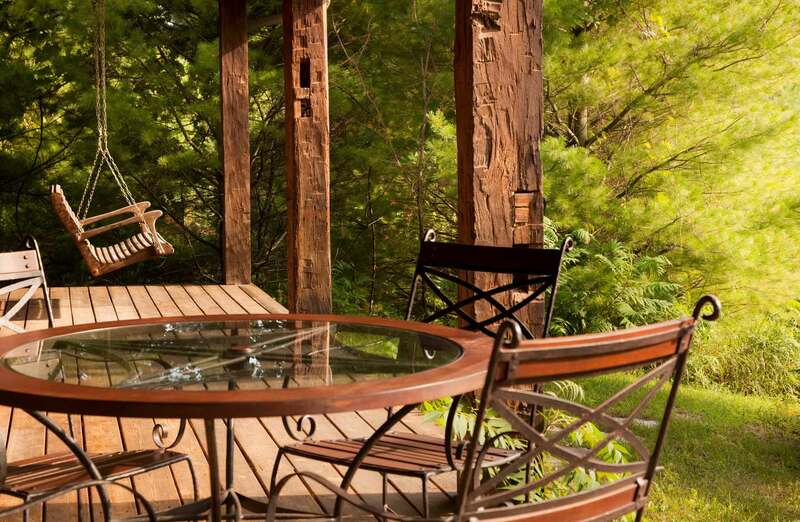 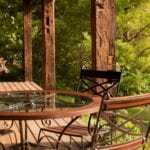 This secluded, two bedroom cabin is perfect for a fun-filled Door County get-away. 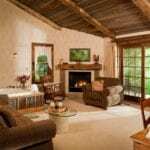 The Hemlock is constructed with a cathedral ceiling accented by hand-hewn beams, weathered boards and rustic features, yet it remains elegant and tastefully decorated. 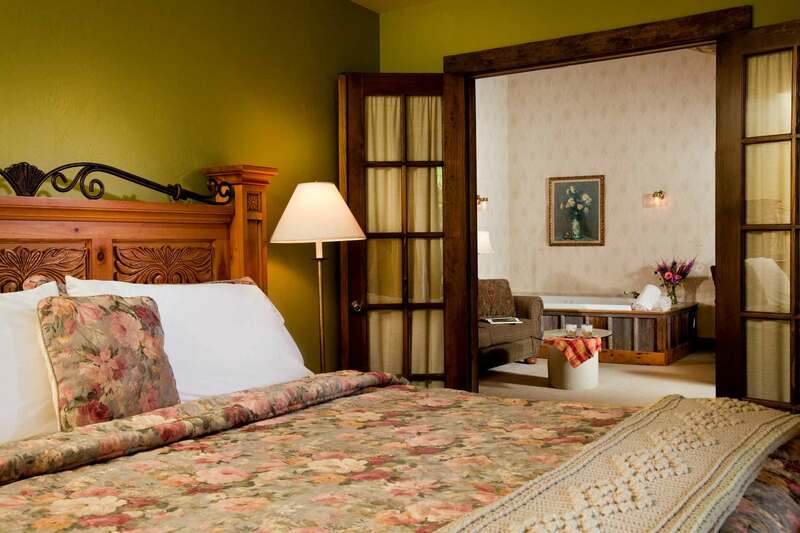 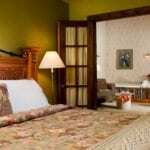 Period antique furniture, along with a gas fireplace, double whirlpool tub and king and queen sized beds make the Hemlock a retreat to enjoy with that special person. 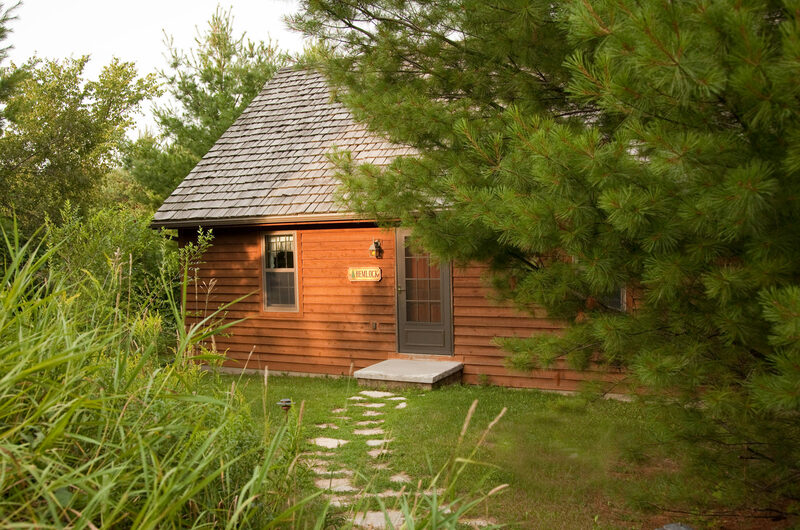 Although a two bedroom unit, the Hemlock is available for one bedroom booking at a reduced rate. 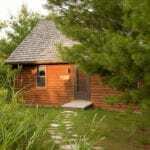 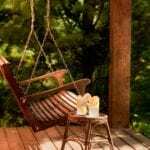 A couple who reserves the unit as a one bedroom does not share the cottage with anyone else. 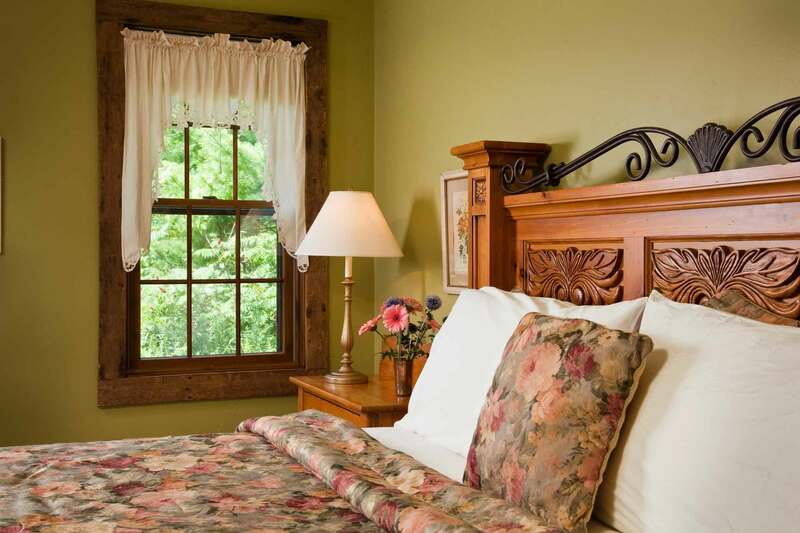 The smaller bedroom is simply locked off. 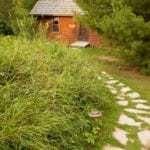 Please note that The Hemlock only has one bathroom.